The document that tech support refers to is from April 2014 and isn't updated according to the latest release. In Creo View 3.0 M031 they have introduced both Mass Properties and Envelope. 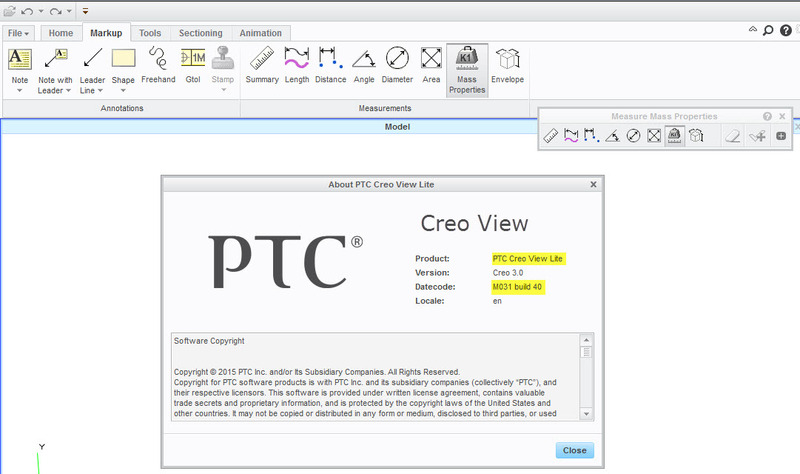 They are both part of the new measurement tool, also in Creo View Lite. The envelope at least was available in CV2 and removed in the first release of CV3, so that feature has only been re-introduced. I don't recall if Mass Properties were in available in CV2. yes it was available in CV2, in fact I had solved the problem one and a half week ago by downgrading the version of Creo View to 2.0 (->> now I see both the volume and the mass properties). thanks for your reply, I will try to inform our distributor concerning the M031 and if it is downloadable freely will be nice to have.